02-28-1875: H.M. Dufur wrestles Jim Owens to a five hour draw in Marlboro, MA. 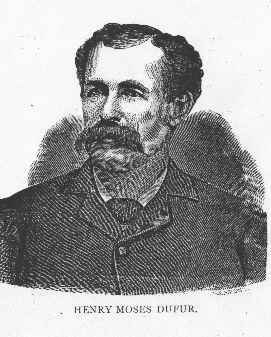 03-07-1875: Jim Owens defeats Charles Murphy in New York to win the National Police Gazette World Collar & Elbow championship and is presented with a championship belt by the Gazette. 1875 (unspecified): In what is likely (if true) the largest money ever won by a wrestler up to this date, Col. James H. McLaughlin defeated the Pacific Coast wrestling champion Michael “Corduroy” Whelan for a supposed $15,000 in San Francisco. McLaughlin won four consecutive matches during this period. One, Dutch Hogan, died during the match. Another, Charles Meier, was paralyzed. Hogan became the second person known to have died after wrestling McLaughlin. McLaughlin vowed to abandon the dangerous Catch-As-Catch-Can style for the more “civilized” Collar & Elbow style of wrestling. 1875 (unspecified): Richard K. Fox is named business manager of the National Police Gazette magazine.